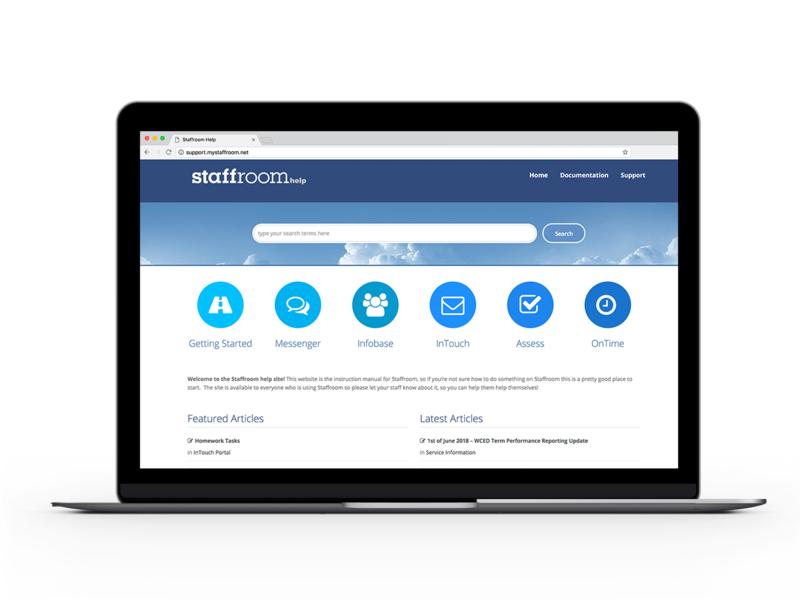 "Staffroom makes data sharing, reporting and communication easy! Cuts down on workload of educators and administrators." 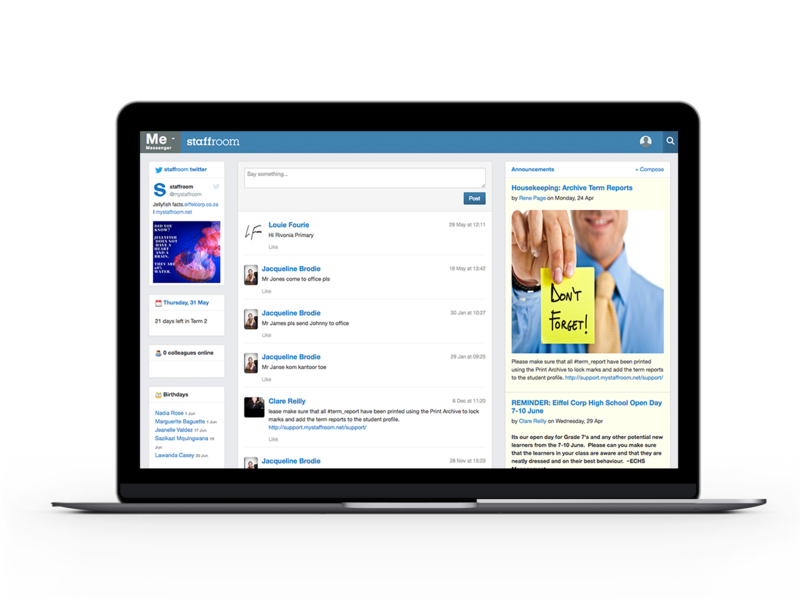 An easy-to-use internal communications tool to help keep your staff in the loop. 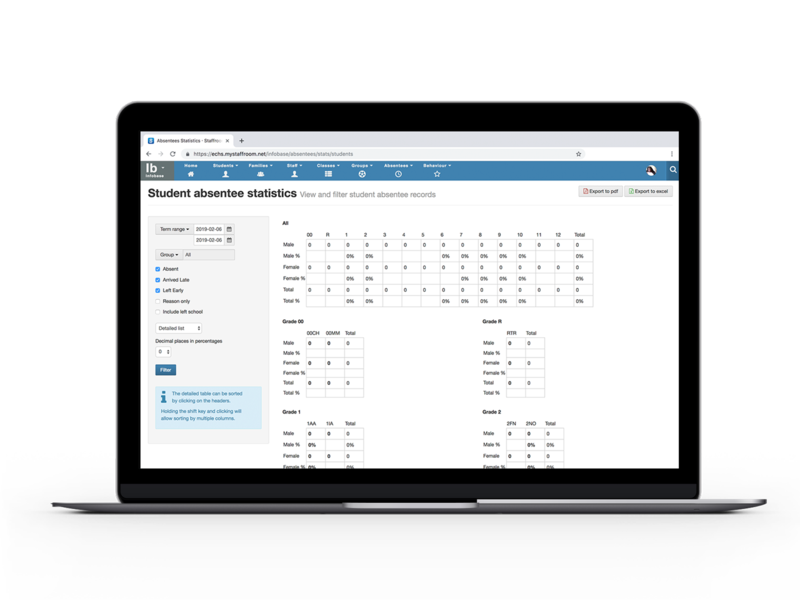 Everything you need to know about your school’s students, parents and staff in one safe secure space. 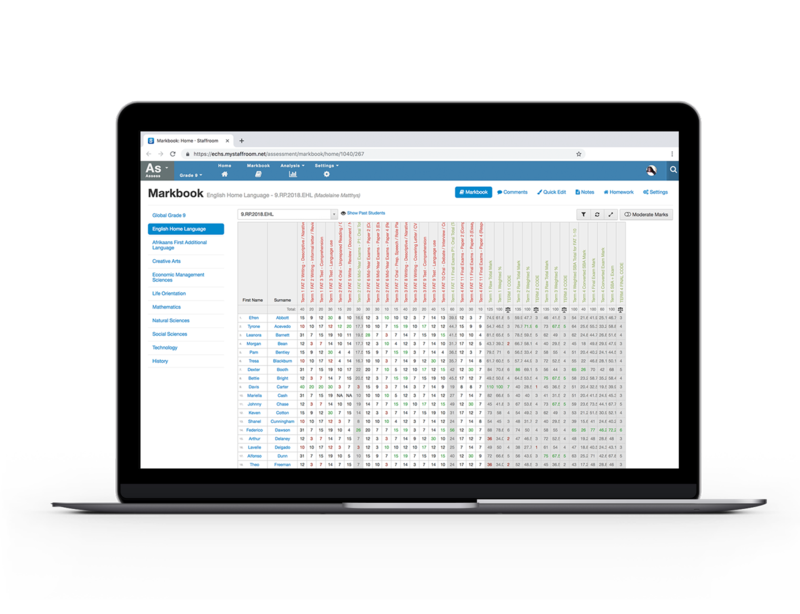 Quick and easy to navigate data. 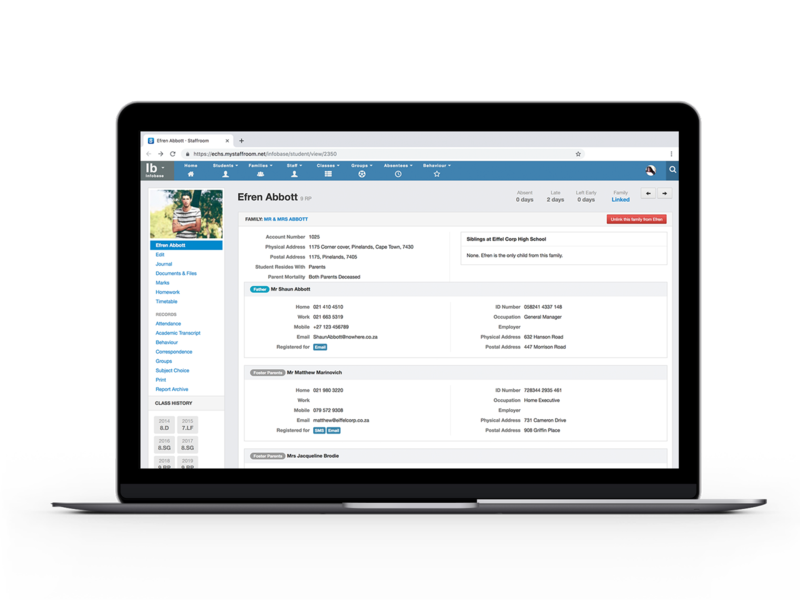 Capture timetables, school events, sports practices and more! 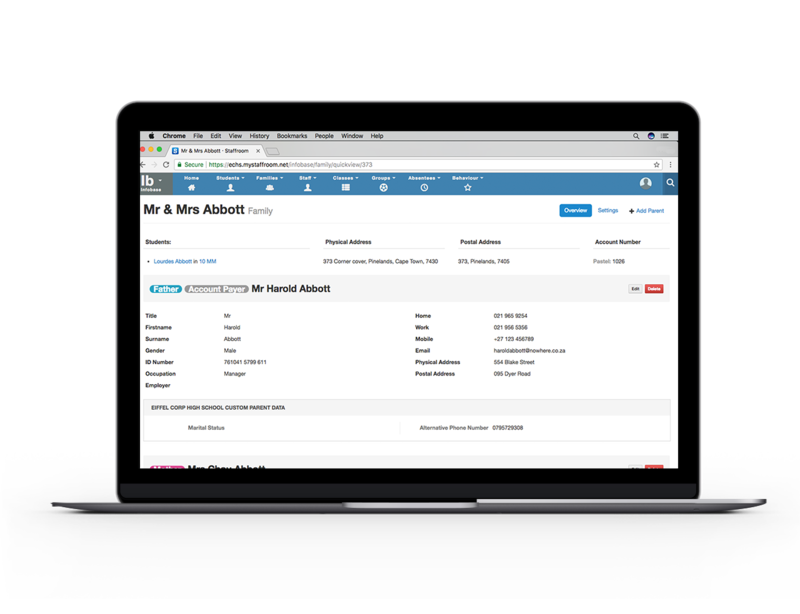 Schools can keep families up to speed with their children’s’ activities on Parent Portal – a separate site for parents. Share school events, announcements, tasks, reports. 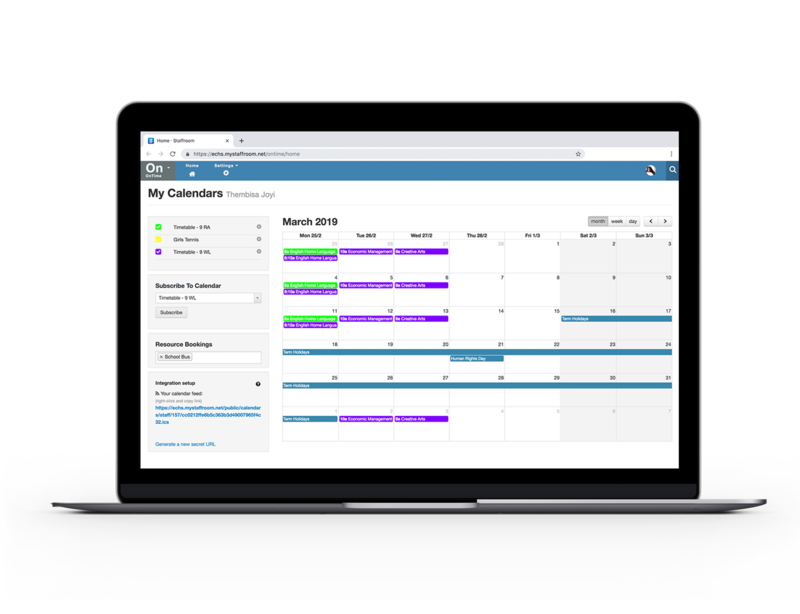 It’s quick and easy to take class attendance and administrators can easily see which classes haven’t completed their capture. No duplication or manual uploads required. Flexible assessment tools to cater to a variety of assessment schemes including CAPS, Cambridge and others. The only assessment system needed. Track and analyse learner’s academic performance. It’s easy to capture and share information about learner behaviour with staff and parents. Keep a record of each learner throughout the year. Track a learner’s behaviour alongside his/her academic performance. Our unparalleled support service is on hand to help you to successfully use Staffroom at your school. Access our online support manual here. 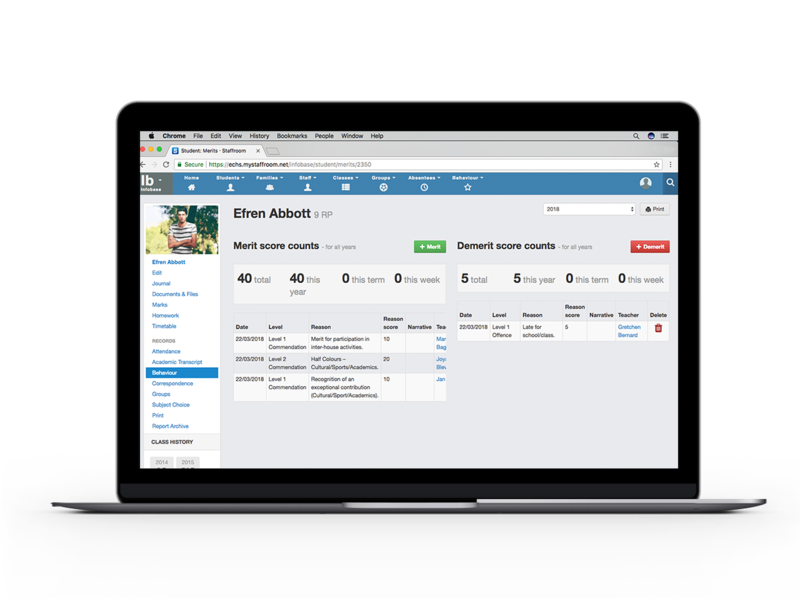 Our top features to unlock your school’s potential.